You'll visit kid-friendly attractions like Indira Gandhi Tulip Garden and Pari Mahal. There's lots more to do: don't miss a visit to Shankaracharya Hill, contemplate in the serene atmosphere at Jama Masjid Mosque, explore the activities along Dal Lake, and stop by Akee Crafts. For traveler tips, other places to visit, maps, and other tourist information, use the Srinagar trip builder app . Indore to Srinagar is an approximately 5-hour flight. You can also drive; or do a combination of train, bus, and taxi. While traveling from Indore, expect much colder days and a bit cooler nights in Srinagar, ranging from highs of 26°C to lows of 18°C. Wrap up your sightseeing on the 18th (Sat) early enough to drive to Gulmarg. Kick off your visit on the 19th (Sun): take in the spiritual surroundings of Baba Reshi Shrine, trek along Outer Circle Walk, and then take your sightseeing to a higher altitude at Apharwat Peak. To find where to stay, other places to visit, maps, and other tourist information, read Gulmarg trip planner. You can drive from Srinagar to Gulmarg in an hour. Another option is to take a bus. 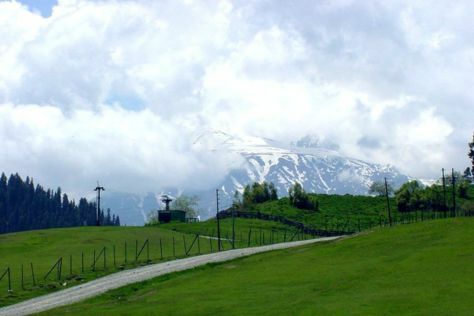 In May, daily temperatures in Gulmarg can reach 26°C, while at night they dip to 18°C. Finish your sightseeing early on the 19th (Sun) to allow enough time to drive to Pahalgam. On the 20th (Mon), make a trip to Chandanwari and then admire the verdant scenery at Betaab Valley. To find where to stay, other places to visit, reviews, and tourist information, you can read our Pahalgam tour itinerary tool . You can drive from Gulmarg to Pahalgam in 2.5 hours. Alternatively, you can take a bus. Expect a daytime high around 26°C in May, and nighttime lows around 18°C. 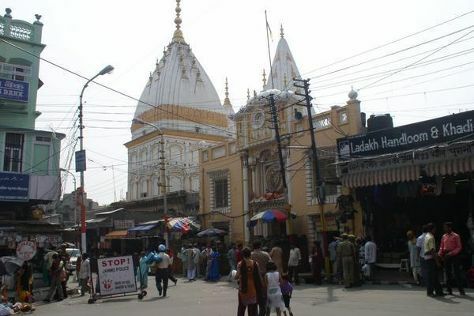 Wrap up your sightseeing on the 20th (Mon) early enough to travel to Jammu City. Kick off your visit on the 21st (Tue): contemplate in the serene atmosphere at Ranbireshwar Temple, take in the spiritual surroundings of Mantalai Temple, take in the spiritual surroundings of Raghunath Temple, then admire the natural beauty at Bagh-e-Bahu, and finally contemplate in the serene atmosphere at Bawey Wali Mata Temple. To find photos, reviews, maps, and tourist information, read our Jammu City trip planner . Traveling by car from Pahalgam to Jammu City takes 9 hours. 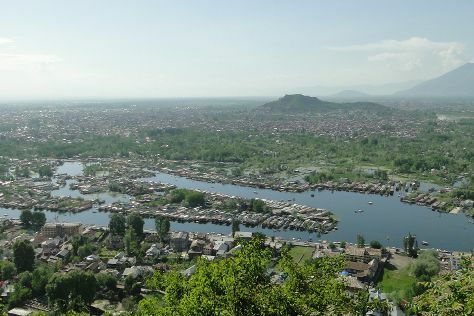 When traveling from Pahalgam in May, plan for much hotter days and a bit warmer nights in Jammu City: temperatures range from 44°C by day to 28°C at night. Cap off your sightseeing on the 22nd (Wed) early enough to travel to Amritsar. Start off your visit on the 22nd (Wed): indulge in some culinary diversions at a local gastronomic tour and then take in the spiritual surroundings of Tarn Taran Sahib. 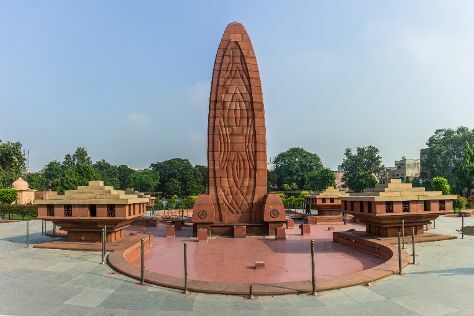 On the 23rd (Thu), you'll have a packed day of sightseeing: steep yourself in history at Gobindgarh Fort, take in the spiritual surroundings of Durgiana Temple, then don't miss a visit to Akal Takht, then admire the natural beauty at Jallianwala Bagh, and finally take in the spiritual surroundings of Digamber Jain Temple. To see reviews, where to stay, and other tourist information, you can read our Amritsar trip itinerary maker tool . Drive from Jammu City to Amritsar in 4.5 hours. In May, daytime highs in Amritsar are 46°C, while nighttime lows are 26°C. Wrap up your sightseeing on the 24th (Fri) early enough to travel back home.